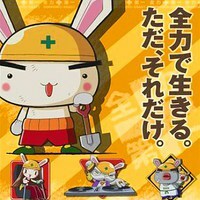 Plot Summary: A very different group of rabbits (humans) work together in a construction company which has the motto of "doing your best". They use this motto for everything: work your best, eat your best, play your best. They look out for each other and several stories are not related to construction, but to other experiences they have together.